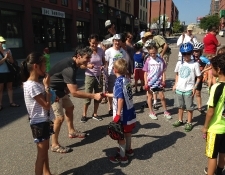 The first annual Kids' Crit was a success this past Labor Day 2015. Watch the VIDEO!! 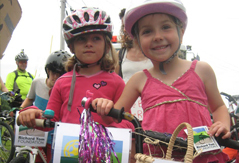 After years of hoping to include a kids' event in the Criterium stage of the Green Mountain Stage Race, the organizers of the Burlington Criterium were pleased to host the Kids' Crit, launched by the Richard Tom Foundation. This first year started small, yet backed by Richard’s ever present inspiration, RTF got it off the ground with a great start.